Home > MapleStory 2	> MapleStory 2 – Final Test Q&A! 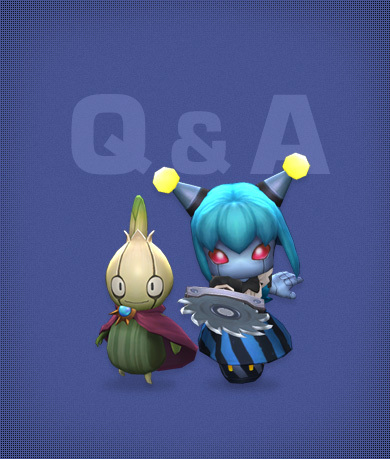 MapleStory 2 – Final Test Q&A! The MapleStory 2 team has a couple of new posts, the first showing off some new mounts and the second being the Final Test Q&A. There’s a few changes from CBT and they talked about some of the new content being added. GM Lora snuck into the development team’s room and took this picture of one of them creating an F1 car! Another two mounts coming in the Final Test are the Junior Frotooth and Evil Eye! I don’t know if I mentioned it before but in CBT, you could get monster mounts as a drop from them which is pretty cool. 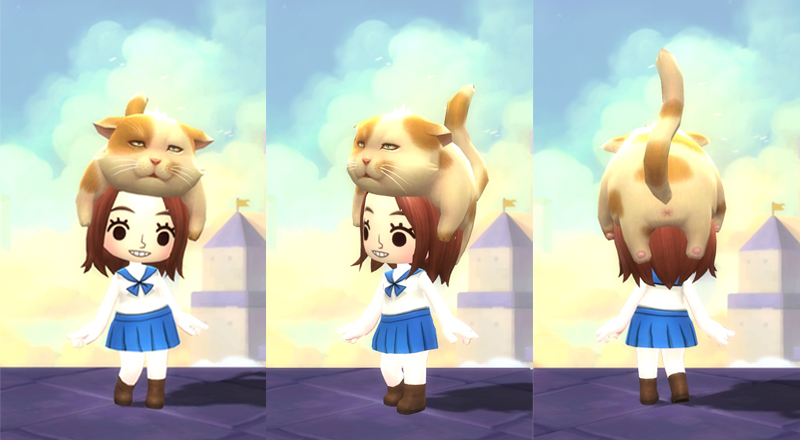 And here’s the Pig-Cat Hat which users voted on adding to the game. Q1. What is the max level in the Final Test? The max level will be level 30. In the CBT, it was level 35 but we want players to be able to play many different characters and enjoy more content so we have changed it to 30. Users told us that in the CBT, they worked hard to grind to level up and in the end, they did not have enough time to enjoy the wide variety of content in the game. This time, we have lowered the max level so you can spend the first half of the testing period levelling up through party hunting and quests. This will allow you to spend the second half accessing newly added content such as guild battles, new jobs, and new trophies. Q2. What are the minimum/recommended PC specifications for the Final Test? The PC requirements for MapleStory 2 are the same as the CBT. However, after playing the game for a while, users experienced some lag so we worked on some optimization (and will continue to improve). When you first connect to the game, the graphics settings will be automatically set based on your PC specifications. If you experience stuttering while playing, you can turn them down in the Graphics Options. Q3. After the Final Test, will data be preserved? Like the CBT, when the Final Test ends, all data will be deleted. Q4. How can I apply for the Final Test? Starting on Wednesday Aril 15 at 2PM, you can apply to the Final Test through our website or the Nexon Play application. Players who were in the Alpha test or the CBT do not have to apply again. Q5. Can we use the customized designs which we created in CBT? Yes, you can use those designs in the Final Test. There will also be new designs added such as a long-sleeved dress, rain boots, and more. Q6. Will there be an early client installation/character creation period? Like the Alpha and CBT, we are preparing this. The schedule will be available on the application page on April 15. Q7. What is the maximum number of users in a guild? In the Final Test, up to 25 people can join a guild like the CBT. Q8. Can I stream or write blog posts about the Final Test? Yes, you can stream, write blog posts, or share information on social media. Q9. Will ‘creating mini-games’ be added to the Final Test? Unfortunately, the mini-game creation system is currently still under development. We want to work on it more so that when we do release it, there will no problems. Q10. Where are screenshots saved? You can take screenshots using the <Print Screen> key. They will be stored in the <My Documents/maplestory2/screenshot> folder. You can also see these screenshots in-game, by clicking the folder icon in the bottom right part of the screen. Q11. After the Final Test, what is the schedule? After the Final Test, we promise that you will see a more advanced MapleStory 2 in the future. We will work hard to make sure you don’t have to wait too long!! Its releasing globally you noob. If it was, Nexon America would be building hype. There hasn’t even been any mention of it. There is no information released currently on the Global Version so far, and we’ve been with MS2 since around september last year. It’s been around 7~8 months and Nexon America has not stated anything. We’ve only heard from the Korean website. There will probably be a GMS2 but as of now it is TBA and nobody knows. I doubt it’ll be released globally. Everyone said MS2 was coming out April 29th? Well they were wrong too. Theres too many rumors without valid proof. I remember seeing something that said there will be a full global release. Yet i don’t believe it tbh. (I don’t think i looked at it too well and my memory of it is pretty dull). GMS president Mahoney said that there will be a MS2 but he didn’t give a date. You’re the one that’s noob a-hole… Nexon only mentioned Korea release. No news about global yet. I love Maplestory, been playing it since the original one went into Beta, but over the years the game got stale with all the grinding and no true story. Now adays its boring and im hoping with MS2 that while i know there will be a grind that it will be more enjoyable and actually have more story to it. In MS we have been talking about the black mage for how long? And how often does legit story actually come out thats prevalent to him aside from the recent Black Heaven. MS2 has a lot of promise and i hope that it can reinvigorate my love for the game. Wished it was release globally, but it wasn’t announced here, apart from the korean site. I can just cross my two fingers and hope for the best. So when they mean apply on the website, will there be another post on here to do so? Do I need to verify my kms acc to get a chance in final test? I wish I could get a laptop so so I can get MS2. I really love how it looks so far. I’d like to play as the assassin and get an Evil Eye mount. I have a nexon kr account, how to apply? is there any guide? Am I the only one that thinks that cat hat looks really ugly? Would have much rather had the bird hat or poop hat. >okay, we won’t let you level as much. somehow I think they missed the point of the complaint. MapleStory 2 – Final Test Applications & kMSt ver. 1.2.008 – Dynamic Hunting Changes! MapleStory 2 – Final Test Applications & Patch Notes Special Issue #2!